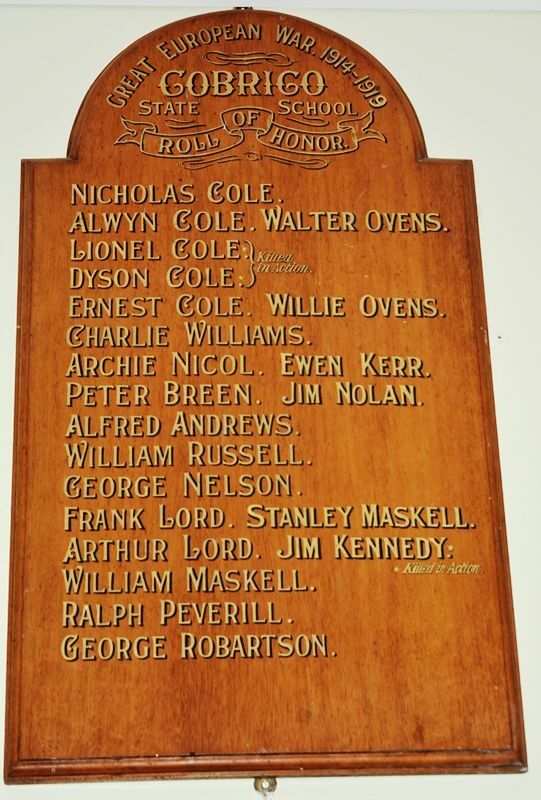 A wooden honour roll commemortes 16 'old boys' from the school who had enlisted in World War One. Additional names were added at a later date. It was unveiled by the Director-General for Recruiting for Australia , The Honourable Don Mackinnon MLA in April 1917.